To all of you going away this summer, I’d like to wish you a wonderful holiday! 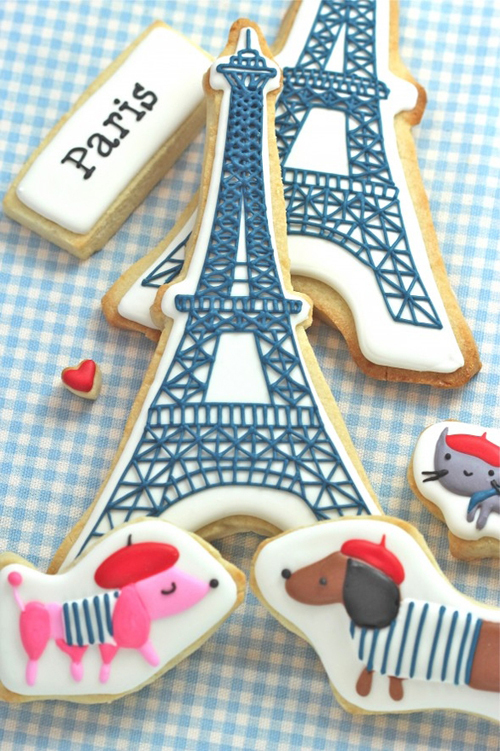 For those of staying at home and wanting to make these Parisian-themed cookies, you can find a how-to video here. Aren’t they cute?! And ‘Joyeux Jour de Bastille’ to all French readers tomorrow (14th July)! Thanks for your kind words, Noga! And don’t worry, I am not going anywhere – I keep on blogging!